Cascara Box - TT061 [TT061] : No Skew Turns, Gifts handcrafted from the world's beautiful woods. 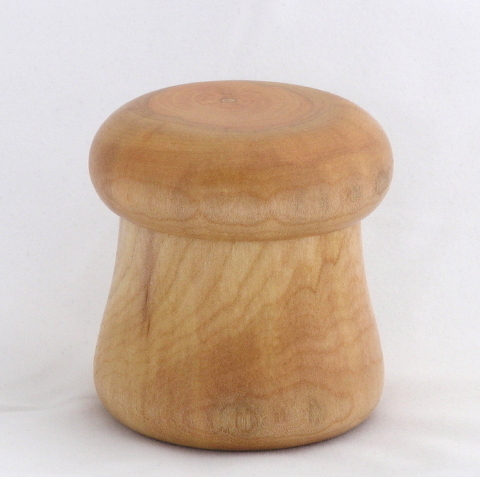 This mushroom-shaped Cascara buckthorn (Rhamnus purshiana) box displays subtle chatoyance that reveals hints of pink and violet along the edges of the rippled growth rings. It was turned from a branch, and I placed the pith deliberately just off-center. The lid closes with a satisfying "snick".